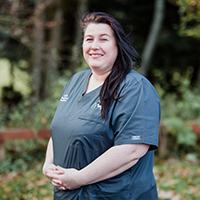 Caroline has been with Inshes Vets since April 2013. This is the first vets practice Caroline has worked at and is thoroughly enjoying working with all the variety of clients and animals. She has a collie-cross called Poppy, and a cat called Indy.